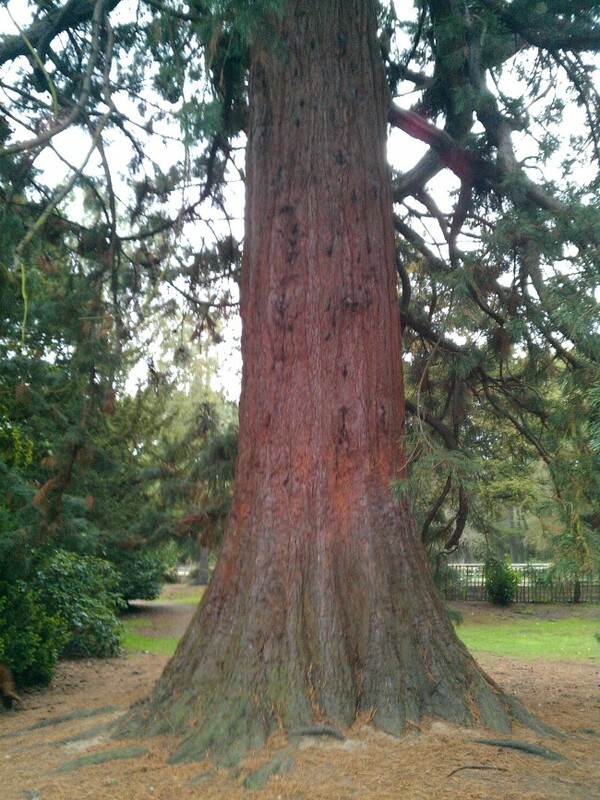 Giant sequoia located in Cambridge, United Kingdom on the St. John's College campus which was planted as part of the city 500th year anniversary. A party was held on the grounds surrounding the tree. Thanks to Yogesh Agrawal of Washington for sharing this image of giant sequoia. Dan Hartley of Derby in the UK sent us this picture. Giant Sequoias were introduced to Britain in 1860 and Elvaston Castle Country Park has 2 of the original specimens still going strong. 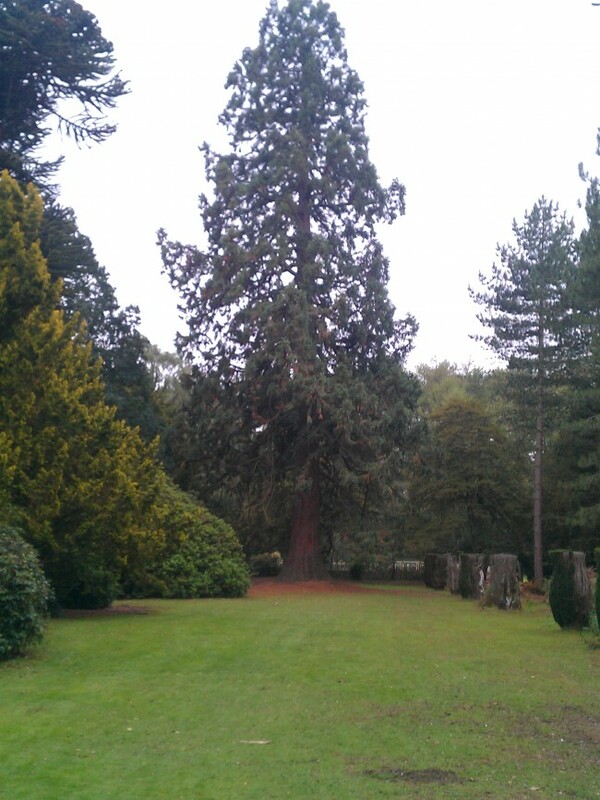 Giant Sequoia in Elvaston Castle Country Park. Contributed by Dan Hartley of Derby in the UK. Eva Harakova was visiting University of Oxford with her daughter. 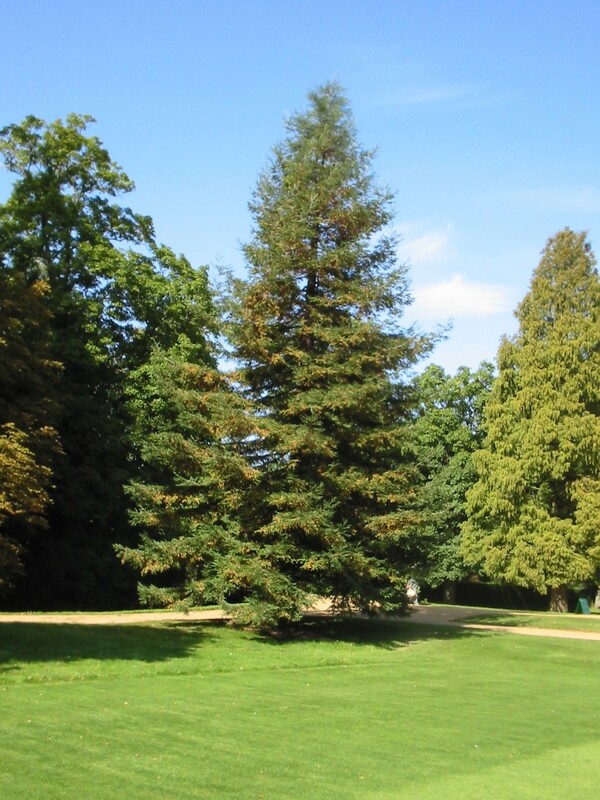 The visitors are 5 foot 6 inches tall which shows the height of this giant sequoia locatedat the garden of the Wadham College in Oxford . Thank you Eva for sending us this image. 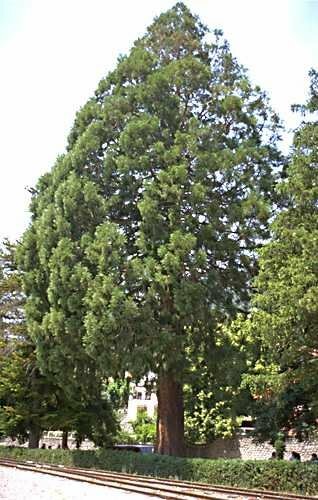 Another view of the Oxford giant sequoia tree as of July 2011. England Big Trees Close Up - Luke's Mom and the big tree. Southern England trunk with Luke - Another amazing discovery of a UK giant sequoia by Luke Bradley. A remote shot of the Southern England trees - Another view of the new forest area trees by Luke Bradley. Polecat Copse, Haslemere, Surrey giant sequoia - This giant sequoia it actually in the UK. It is located in Polecat Copse, Haslemere, Surrey, England, not far from where I live. I have measured the girth at 9.16m. Woolmer Hill, Surrey England - This one was also submitted by Luke Bradley. Black Down Surrey, England - Submitted by Luke Bradley.